Looking for something fun to do on the 4th of July? 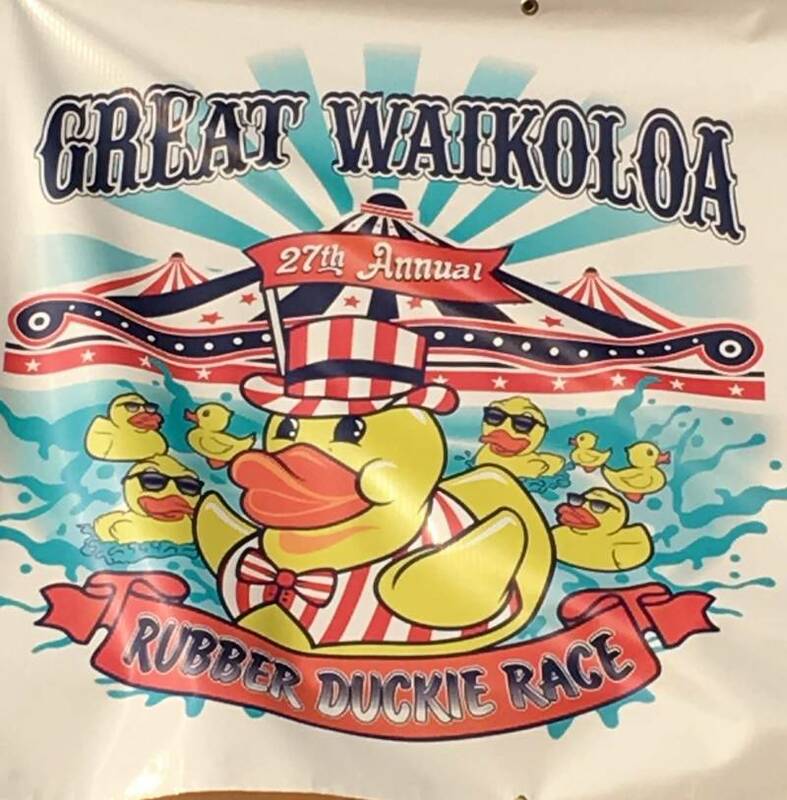 The 27th annual Waikoloa Rubber Duckie Race will be happening at the King’s Shops Waikoloa from 11:00 AM to 5:00 PM. This is a great way to support United Cerebral Palsy of Hawai’i. You can adopt a rubber duckie for a chance to win over $31,000.00 in prizes. Make sure to adopt early, you do not want to miss out. You can visit the website for full event details here. So many fun things going on from watermelon and shave ice eating contests to a duck calling contest. And did I mention Sudden Rush will be there?